Nina Penteado raised her dog, Colombo, a shepherd cross breed as a puppy, having him as her loyal companion for 11 years. She had to have him euthanized following a veterinary visit gone wrong, and subsequently sued Rosedale Animal Hospital, and two of its veterinarians in small claims court for $25,000, the maximum allowed. She claimed in court documents that veterinarian Dr. Ian Sandler gave Colombo unnecessary vaccinations without her consent, which led to Colombo having to be euthanized. . “The defendants fell below the average competent standards under the circumstances,” a statement of claim says. Not surprisingly the veterinary hospital and the veterinary defendants in the case denied any wrongdoing. “The defendants did not cause or contribute to Colombo’s worsening health,” they say in their statement of defence. The veterinarian claims that this 11 year old dog was a ‘year overdue for vaccines’, and vaccinated, in spite of Ms Penteado’s desire to only have an exam. Colombo was sick at the time of the visit, with chronic diarrhea, yet given the full range of “shots”— distemper, hepatitis, parvovirus, parainfluenza, Bordetella, as well as rabies. After the visit, Colombo’s condition deteriorated, Colombo was having trouble walking, was panting, had a thick, gelatinous drool, and had lost six to seven pounds. He was eventually referred by another veterinarian to an emergency clinic where he was diagnosed with sudden acquired retinal degeneration syndrome and pneumonia. She opted to euthanize him. Ms Penteado spent over $7000 following the first veterinary visit, but unfortunately had her claim in Canadian court denied, as in Canada, all animals are considered “chattel,” or property, thereby limiting damage awards to the economic value of the animal. In California, the Plotnik family in Laguna Niguel had been harassed for years by their neighbors, the Meihaus family, suffering insults, death threats and other offensive behavior. The Plotnik’s claimed that one of their neighbors had smashed their dog, Romeo, with a baseball bat, causing the dog to require surgery. The jury sided with the Plotniks and awarded them $430,000, which included emotional damages for Romeo’s injuries. The award was eventually lowered to $160,000, plus $93,000 in attorney fees. The defendants filed an appeal on the award for emotional distress caused by the attack on the family dog, but this was upheld. The Meihaus family had to pay for Romeo’s surgery as well. We have long held our dogs and cats as family members, and the veterinary community would like to us to treat ( and pay veterinary fees), accordingly. They just don’t want lawsuits similar to Colombo’s to be successful. In the United States there are felony anticruelty laws in all 50 states. These carry fines up to $125,000 in fines and 10 years in prison for anyone who abuses animals. A landmark case involved the 2004 ruling in which $39,000 was awarded to a pet owner for veterinary malpractice following the death of his dog in Los Angeles. At the time to the AVMA ( American Veterinary Medical Association) stated their concern that “personhood” for dogs and cats could fill the courts, make veterinary care increasingly expensive, and drive veterinarians out of business. 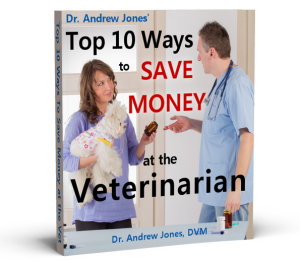 Ten years later we are seeing rapidly rising veterinary fees, but not due to court costs. Vets see that people are increasingly willing to spend more on their pets, so they now can offer an expanse of expensive diagnostic tests (ie MRI’s), and charge accordingly. At the same time the number of new veterinary graduates has outpaced veterinary jobs, increasing competition, and ultimately driving some veterinarians out of business. Mark Cushing of the Animal Policy Group says this: Make no mistake: the costs of veterinary care will go up if a court turns the common law doctrine on its head and removes the barrier to non-economic damages anchored in the legal concept of pets as personal property. And if costs go up, does anyone really believe that access to pet healthcare will not be affected? Veterinary associations across North America are opposing legislation that would reclassify owners as “guardians”. They have also been involved in court cases against veterinarians in order to limit damages for the loss of a pet. Clearly yes, for our pets are integral, valued parts of most people’s family, and are treated accordingly. I can speak from personal experience-my pets are part of my family, and the emotional distress of losing a pet has been immense. There are clearly much more than ‘property’, and should be recognized in the eyes of the law as such. In spite of what many in the veterinary community think, it is time for change. Appreciate your honest and thoughtful comments on the value of animals, particularly pets. You may be interested in following the NonHuman Rights Project which is leading the effort to enhance common law concerning specific sentient beings. Steven Wise is the source and spokesman for this important work. I held her in my arms. I believe an animals death is experienced differently than that of a human person because the animal is so dependent on its owner/owners. When is a pet a piano? If ‘it’ doesn’t need food/water to survive, ‘it’ has/expresses emotion and is capable of affection/love, ‘it’s critical to your survival, emotional or otherwise. It’s pretty simple! If pets are possessions, then so are children. Family, by virtue of the relationship, cross species lines. It’s the relationship that differentiates between the classification of a ‘what’ and a ‘who,’ per se. Maybe the first amendment of the constitution addressing religious freedom could impact these legal issues regarding animal companions. Think Buddhist and Hindu philosophies. Any aclu/environmental/animal rights attorneys up for the challenge? I definitely think dogs and cats should have the similar rights as people. My dogs are immediate family members and loved and treated like family. The have similar feelings as us and love us to. I could not agree more….it is time for a change and every single person/family I know that have pets, treat those pets as a big part of their family as do I. 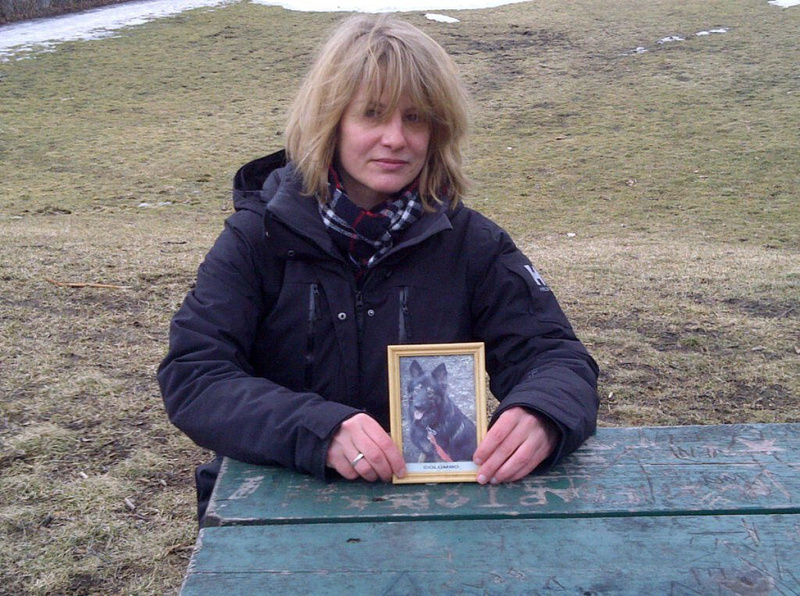 My heart goes out to Colombo and his guardian Nina. She has every right to sue and the fact they went against her wishes should have been more than enough to win her case…if my vet decided , own their own, to give vaccinations of any kind to my pet/pets without consulting me…there would be hell to pay. Fortunately, I have a very good vet and can’t say enough good things about them ( Burlington Pet Hospital ) and the doctors (vets) there. I believe a sure fire way to find a good vet is to ask them if they have furry family members too. Making sure you ask in a way to warrant a response to yield the big question…do they consider their pet/pets to be part of their family and not just a pet or property. Seeing a vet for my pets is a lot like going to the hospital or doctors office myself….I get nervous but I know that the only voice they have is mine…so I do the very best I can in explaining any and all symptoms and expect the doctor(vet) to do the same for me as for causes and treatments. I expect the same thoughtful and caring responses as though they were talking about a child or other loved one of the family. My sincere condolences to Nina P.
Absolutely not! I have pets and always have. I enjoy them and always treat them well. However, animals are not people and do have rights as we define the term, what would be next, plants, air, water? There is a distinction and we are responsible to remember that distinction. Dr. Jones, When you live in a state that has the law such as where they claim the pet as property like they did with Ms. Penteado dog, and through Vet neglect your pet dies, then what are you supposed to do? I hope the law will change in favor of animals. The are not just a property, they are living creatures with soul and body who have a need to be protected, just like us. Pets should absolutely have more rights! My pets are far more important to me than any person could be, and I’m far from the only person who feels this way. If your child and my dog are both in danger of being hit by a car, there’s no question which one I’d save. (Hint: my dog.) My dogs are not couches, land, dishes, cars, houses, or any other form of personal property – they’re sentient, feeling, intelligent, caring, loving beings with whom humans are lucky to share the planet. If you gave pets more rights, wouldn’t it mean that the owners could be prosecuted or arrested if they failed to comply with veterinary recommendations? I’ve read several news stories about this happening to people when they refused chemotherapy, etc. for their sick children.